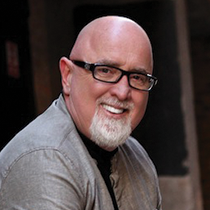 James MacDonald discusses the importance of focusing our life and attention on Christ. (John bore witness about him, and cried out, “This was he of whom I said, ‘He who comes after me ranks before me, because he was before me.’”) 16And from his fullness we have all received, grace upon grace. 17For the law was given through Moses; grace and truth came through Jesus Christ. 18No one has ever seen God; the only God, who is at the Father’s side, he has made him known. 19And this is the testimony of John, when the Jews sent priests and Levites from Jerusalem to ask him, “Who are you?” 20He confessed, and did not deny, but confessed, “I am not the Christ.” 21And they asked him, “What then? Are you Elijah?” He said, “I am not.” “Are you the Prophet?” And he answered, “No”—John 1:15-21. John the Baptist wanted to make one thing clear about his relationship with Jesus: Just because I came before Him, I’m not saying I have seniority. I understand how things work. I know my calling and place, and I’m good with it. How many people understand that? That’s just the way things are. John the Baptist is saying, Look. I got here first, but this is the Second Person of the Trinity, Jesus Christ, the Son of God. I have no special standing. In John 1:15, John the Baptist demonstrates he knows the meaning of John 1:1, “In the beginning was the Word, and the Word was with God, and the Word was God.” He also accepts the fact that Jesus’ birth order didn’t take away from Who He was eternally! So he could say, “He who comes after me ranks before me, because he was before me.” Clearly, John the Baptist pointed this out so often to the crowds that came to him for baptism in the wilderness that he quoted himself when he identified Jesus for them: “This was he of whom I said.” Here’s the One I’m always talking about! Yes, He’s younger than I am, but He also came way before me because He is eternal! John came to announce Jesus’ arrival. He was a walking, talking billboard, pointing others to Christ. Ultimately, this is the heart of the message you and I have to share with anyone who crosses our path: Here’s how Jesus arrived in my life; can I tell you about Him? I’m nothing special; He’s everything to me. Are you ready for that conversation if someone asks about the way your live your life today? In what situation in my life right now do I need God’s help in pointing others to Jesus? Father, John the Baptist was a great and unique servant of yours who constantly reminds me there’s a cost to faithfulness, but it’s worth it for Your glory. Don’t let me fall into the pattern of living half-heartedly for Your Son, but to persistently ask You correct my wayward-ness and focus my attention on You and Your purposes for life. Take my life and make it something I could never make it on my own, for the glory of Your Son, in whose name I pray, amen.